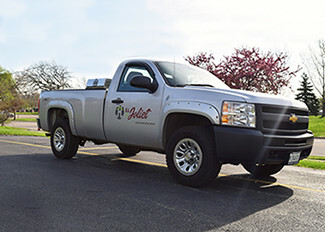 The Housing Authority of Joliet provides routine and emergency maintenance services 24 hours a day. During regular business hours (Mondays through Fridays from 800am to 430pm) households are to contact the Property Management Office to file a work order request. After business hours, on holidays, or on weekends, households are to contact the Housing Authority of Joliet’s Maintenance Answering Service at 815.727.0622. If a maintenance issue is not considered to be of an emergency nature and does not pose a threat to the household’s health and safety, the household should wait until normal business hours to call in a request for maintenance services to avoid being billed for unnecessary call out services. When requesting maintenance services, please make sure to have the following information readily available: Full Name, Rental Unit Address, Telephone Contact Number, a description of what needs to be repaired, and where the repair is needed in the household. Be sure to report all repair needs immediately to the Property Management Office or to the Housing Authority of Joliet’s Maintenance Answering Service at 815.727.0622. Repairs that are due to normal wear and tear will not be billed to the household. Repairs that are necessary to a rental unit, building, or property exterior that were created by a household member or guest, are the financial responsibility of the resident household. All labor and material costs associated with making a repair will be billed to the resident household and must be paid in full along with the following month’s rent amount. An electrical breaker box is installed within each rental unit to maintain electric service. If an electrical problem occurs within the rental unit, households should immediately contact the Property Manager or the Housing Authority of Joliet’s Maintenance Answering Service. The Housing Authority of Joliet strongly discourages use of extension cords, as they may damage electrical outlets, circuit breakers or become the source of a house fire. The electrical service must be maintained in the head of household’s name. It is the responsibility of each household to maintain uninterrupted electrical service to the rental unit once the lease agreement has been executed. Additionally, the illegal hook-up of an electric meter to a rental unit, the use of a generator, or the use of extension cords providing power from one rental unit to another is prohibited. Failing to comply with any of the above is considered to be a significant lease violation. Emergency maintenance occurs when work must be done to prevent a threat to the life or safety of a household or damage to Housing Authority of Joliet property. When emergency maintenance is required, the emergency will be corrected or abated within 24 hours. In the case of an emergency, the Housing Authority of Joliet’s lease agreement allows agency staff to enter the rental unit at any time to protect other residents and Housing Authority property. Emergency maintenance services are available 24 hours a day by either contacting the Property Manager or the Housing Authority of Joliet’s Maintenance Answering Service. The Housing Authority of Joliet’s Maintenance Answering Service telephone number is 815.727.0622. Reporting a fire within or on the exterior of a rental unit or building. Building elevators reported as damaged/inoperable. Someone being trapped within a stopped elevator car is considered an emergency. Plumbing leaks that have the capacity to create flooding or cause damage to the rental unit. Roof leaks and/or waterlogged ceiling that is in imminent danger of falling down. Broken window glass, which affects rental unit security, is a cutting hazard, or occurs during inclement weather (to be secured or abated). A cracked glass window pane is not considered an emergency situation. Alert others and immediately exit the rental unit and/or building. Leave the area immediately and leave the door open as you exit. Avoid touching anything that may spark. This includes starting a car engine or using cell phones, lighters, matches, cigarettes, flashlights, light switches, or telephone landlines. Locate a telephone that is away from the rental unit and/or building and immediately contact Northern Illinois Gas Company at 888.642.6748 to report the odor of gas in the air. Locate a telephone that is away from the rental unit and/or building and immediately contact 911 to notify the police and fire departments to report the odor of gas in the air. Locate a telephone that is away from the rental unit and/or building and immediately contact the Property Manager or the Housing Authority of Joliet’s Maintenance Answering Service at 815.727.0622 to report the odor of gas in the air. DO NOT go back into the rental unit or send anyone else back into the rental unit. Warn others to stay clear of the area. DO NOT attempt to locate, repair, or seal a gas leak. Backed-up raw sewage. A clogged sink is not considered an emergency situation. Electrical hazards, such as no power within the rental unit; sparks from electrical outlets, light switches, or ceiling lights; water running over or pooling within electrical outlets, light switches, or ceiling lights. Inoperable Housing Authority of Joliet owned refrigerator or stove. Inoperable Housing Authority of Joliet owned air conditioner or furnace. Reporting of no heat within a rental unit. City of Joliet code requires a landlord to maintain an inside temperature of 65 degrees during the period September 01 through May 15. Before calling for emergency maintenance services, make sure that the rental unit’s thermostat is turned on, the air conditioner is not on and running, that all windows are closed and not open, any space heater being used is not placed near a thermostat, furniture is not blocking heating vents or elements, that nothing has been placed or shoved into heating vents to prevent or restrict air flow, and that household members are appropriately dressed for the weather i.e. not wearing summer clothing in winter. Inoperable toilet or bathroom shower. Broken exterior rental unit door locks, which affect rental unit security. Inoperable smoke detectors or carbon monoxide alarms. Lock-out of the rental unit (Household member requesting access must provide responding staff with valid photo identification). Households are responsible for maintaining the rental unit in a condition that is free from insects, rodents, and bedbugs. 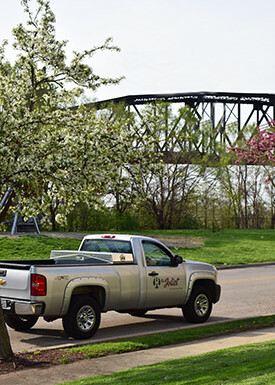 The Housing Authority of Joliet implemented a pest control management program that is a joint venture between itself, resident households, and the pest control company. Regularly scheduled pest control services are performed within all rental units, community centers, management offices, and all public common areas. If an area warrants additional treatments, those treatments are scheduled with the Property Manager to occur in a timely manner. Property Managers perform quarterly housekeeping inspections to review each household’s unit cleanliness and unit condition. If there are problems with rental unit cleanliness or condition, those households are scheduled for increased housekeeping inspections over an expedited period of time and addition pest extermination treatments. If no improvement is observed, a household is subject to tenancy termination. A household’s deliberate failure to cooperate with any pest control instructions provided by the Housing Authority of Joliet and/or it’s pest control service shall result in tenancy termination. Households are advised to contact the Property Manager if pest control services are needed on a more frequent basis or if the household begins to experience a specific pest problem. Households can assist with pest control by merely maintaining the rental unit in an orderly and clean manner and by properly disposing of garbage in sealed plastic garbage bags (not paper bags or boxes). As always, households are reminded NOT TO BRING IN second-hand furniture and mattresses/box springs that have been discarded as trash. Garbage disposal is the responsibility of all households. Keeping a high-rise building or a neighborhood clean by disposing of garbage in designated areas is essential to pest prevention and neighborhood curb appeal. DO NOT leave loose or bagged trash outside a rental unit under any circumstance. Use only sealed plastic garbage bags (not paper bags or boxes) and DO NOT dispose of raw garbage or medical supplies within garbage chute systems that are located within high-rise buildings. If you require assistance with garbage disposal or large furniture items, please contact your Property Manager. The Housing Authority of Joliet will maintain heat within each rental unit. Please contact the Property Manager or the Housing Authority of Joliet’s Maintenance Answering Service at 815.727.0622 if a rental unit’s heat is malfunctioning. City of Joliet code requires a landlord to maintain an inside temperature of 65 degrees during the period September 01 through May 15. Before calling for maintenance services, make sure that the thermostat is turned on, the air conditioner is not on and running, that all windows are closed and not open, any space heater being used is not placed near a thermostat, furniture is not blocking heating vents or elements, that nothing has been placed or shoved into heating vents to prevent or restrict air flow, and that household members are appropriately dressed for the weather i.e. not wearing summer clothing in winter. In the event of a power failure, please use flashlights or other battery-operated lights. Candles or open flames should not be used as a source of light, due to the risk of fire and smoke damage. If there is a power failure, please contact the Property Manager or the Housing Authority of Joliet’s Maintenance Answering Service at 815.727.0622. To file a non-emergency work order request, during regular business hours (Mondays through Fridays from 800am to 430pm), households are to contact the Property Manager. To file an emergency work order request (after business hours, on holidays, or on weekends), households are to contact the Housing Authority of Joliet’s Maintenance Answering Service at 815.727.0622. When requesting maintenance services, please make sure to have the following information readily available: Full Name, Rental Unit Address, Telephone Contact Number, a description of what needs to be repaired, and where the repair is needed in the household. Maintenance staff responds to submitted maintenance requests in order of priority. Please remember to ask for a work order number when calling in a repair for future reference purposes. On an annual basis, the Housing Authority of Joliet publishes a Basic Tenant Repair and/or Replacement Charge Listing which contains many items that are regularly repaired or replaced. This document is posted at the Property Management Office in each housing development as well as in the lobby area of the Housing Authority of Joliet’s Main Office, located at 6 South Broadway Street, Joliet, Illinois 60436. The Public Housing Program Basic Tenant Repair and/or Replacement Charge Listing is available for download below.